What soybean varieties are suitable for producing soymilk and its products? There are over one thousand varieties of soybeans grown around the world. Some have higher level of protein than others. You should select a light colored soybean variety relatively high in protein. Never use beans that have not matured properly in the field at the time of harvesting. Beans with moulds and green spots indicate major problem. As a rule of thumb, soybeans have 40% protein and 20% oil on a moisture free basis. 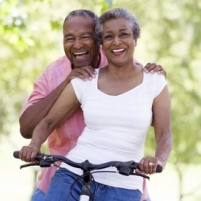 Protein can be as high as 52% and as low as 30% with oil proportionately lower or higher. Moisture varies from 8% to 14%. Many processors prefer to use organically grown, non-GMO seed varieties. Fortunately, the flavor quality of soymilk made with airless cold grinding process used by ProSoya does not depend significantly on the soybean variety. What are organic and non-GMO soybeans and where to buy them from? Is it necessary to soak soybeans before processing? No. However, soymilk extraction is better when soybeans are soaked for hydration. Traditional beany processes use soaked soybeans. Older non-beany soymilk processes grind dehulled dry soybeans without soaking in alkaline hot water to control beany flavor. The most modern method uses soaked soybeans and controls beany flavor problem by preventing oxidation. Also, modern soaking methods minimize flatulence-causing oligosaccharides. How long should soybeans be soaked before processing? It depends on the temperature of the soaking water and the ambient temperature. It can vary from 2 to 24 hours. Shorter the soaking time, more critical it is to use the beans quickly to prevent fermentation. Over soaked bean ferment and become sour. Soymilk yield is reduced dramatically, and in extreme cases, soymilk curdles even prior to extraction. How much soymilk I can get from 1 lb of soybeans? As a rule of thumb you get 1 gallon of soymilk from 1 lb of soybeans. However, it depends on the quality of beans used and the protein percentage desired in the soymilk. How does soymilk yield compare to dairy milk at the farm? According to WHO/FAO/UNICEF Advisory Group Bulletin #6, 1971, soymilk yield is calculated to be about four times that of dairy milk per hectare of land use. Is soymilk similar to dairy milk nutritionally? It is a debatable issue. Nutritionally, the two products are not identical. Some say dairy milk is ideal, others say soymilk is better. What are main advantages of the "airless cold grinding" process? Minimize harmful oxidation in the production of soymilk base. Release proteins from soybean fibers in water prior to cooking to minimize chalkiness in the soymilk while preventing the "beany" (rancid oil like) off-flavors. Minimize the use of flavor masking ingredients that increase calories and cost of the product - both undesirable for product marketing. Does soymilk taste like dairy milk? No. Soymilk does not taste like dairy milk to most people. However, properly manufactured soymilk can have its own great taste. Just like coffee and tea don't have to taste the same to be liked, soymilk and dairy milk don't have to taste the same, even look the same. 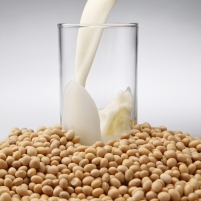 What is the shelf life of soymilk? Since soymilk is rich in proteins like dairy milk, essential nutrient for the growth of microorganisms, soymilk shelf life is very similar to that of dairy milk under similar processing, packaging, and storage conditions. Can soymilk be used as formula for feeding infants and toddlers? These formula are fortified to provide those additional nutrients which are not present in soymilk or dairy milk. Please consult your pediatrician for recommendations. What is the relationship between "calorie loading" and taste? Calorie loading of a product is done to improve taste. If soymilk base used in making a beverage does not have a bad taste, then it is not required to add excessive amount of calorie-laden ingredients to mask bad taste. Thus, higher calories for the same amount of protein in a similarly formulated product indicate inferior taste profile of the soymilk base used. Can soymilk be mixed with fruit juices? A good quality soymilk takes the taste and flavor of the fruit juice it is added to. Use unflavored soy beverage that is slightly sweetened, such as "SoNice Original". Use 50% juice and 50% soy beverage or adjust proportions to your taste. Due to the acidity of the juice, soy beverage will curdle and thus will become thick. Not all brand of soy beverages go well with juices. How does soymilk taste with fruits, nuts, and cereals? A good quality soymilk adopts, even enhances, the taste of fruits, nuts, and cereals it is used in. We recommend using "SoNice Original" formulation, which is unflavored but lightly sweetened and fortified. Why is the shelf life of Chocolate and Mocha soy beverages less? Chocolate has a tendency to sediment and settle down to the bottom with time. This limits the shelf life, not the growth of bacteria. Is it necessary to package soymilk and its products for selling? For very small production such as with SoyaCow VS30 or VS/40, it is not essential to package soymilk, especially if you manufacture product where and when needed. Many machines operate on this principle and save on the cost of packaging. Operators of some larger machines produce soymilk for others or for value added products and thus do no packaging at all. What is the most economical form of packaging? For liquid products, it is polyethylene film pouch packaging, either using manually operated heat sealer, or automatic form-fill-seal machines. The product needs to be pasteurized and properly refrigerated for good shelf life - up to 3 weeks. You can also use returnable/non-returnable glass or plastic bottles and fill them manually. Proper refrigeration is again required. Can we use Tetra Brik® type packaging with VS30, VS40, or VS200? No. The packaging machines are too expensive for these systems and cannot handle small volumes produced by these machines..
How can we get long ambient shelf life at small scale? Formulate and package soymilk in retortable bottles and sterilize them in a retort. VS30 and VS40 grinder cooker can be used as a retort for small scale production. Retortable pouches are also available but they require special retorts that prevent the pouches from bursting during the cooling phase by keeping the pressure outside the pouches always higher than inside. Retorting is frequently used also in older large scale plants ,especially in developing countries. Is aseptic packaging feasible for VS1000 and larger systems? Aseptic packaging allows you to package product that is shelf stable under ambient conditions for up to one year, some time longer. However, such machines are expensive. Including the UHT sterilizer, the price tag is well over half a million US dollar for the smallest system. If you were to use Tetra Brik® or similar packaging then the packaging material cost would likely exceed the product cost inside it. Cheaper packaging material alternative is aseptic multi-layer poly pouches. Three layer plastic pouches are the cheapest and can still give an ambient shelf life of 30 days. Many people use co-packers to formulate and package the product aseptically. Co-packers must have systems that can sterilize the product at "Ultra High Temperature" in 143 degrees Celsius range. If a co-packer can package milk aseptically, he can also package soymilk. Aseptic juice packaging lines are not usually equipped with UHT sterilizers. What coagulants are used for producing Tofu? Commonly used coagulants are Nigari (mostly Magnesium Chloride), Calcium Chloride, Calcium Sulfate, GDL (glucono-delta-lactone), citric acid, acetic acid (vinegar), etc. When using salts, ensure these are food grade. For Magnesium Chloride (MgCl2.6H2O) the toxic substance levels are required to be lower than the following (according to US-FDA): heavy metals, e.g. lead and mercury - 10 parts per million (ppm); arsenic - 3 ppm; and ammonium - 50 ppm. If in doubt when a coagulant is food grade or not, play safe by using readily available white vinegar or citric acid. Why soak Tofu in cold water after forming and pressing? The process cools tofu quickly while removing access coagulant from tofu. What are different types of Tofu? Although each coagulant gives somewhat different tofu, which also depends on the skills of the tofu maker and the degree of whey removal, there are basically two types of tofu - pressed tofu and silken tofu. Depending on the pressing pressure and duration, pressed tofu is simply called tofu, medium firm tofu, firm tofu, very firm tofu, hard tofu, etc. Silken tofu is made using thick soymilk - 11 to 12% solids - with Calcium Sulfate (CaSO4.2H2O) as coagulant. Silken tofu is not normally pressed to remove whey. What products can I make with Tofu? ConTofu is the ProSoya's proprietary name of a patented process and machine that continuously curdles soymilk using a long holding tube and then presses curd under its own weight in a dewheying column. At the bottom of the column is a knife that automatically cuts cylindrical tofu cakes of the desired thickness and slides them into a cooling tank. What is the packaging and shelf-life of Tofu? For tofu, the packaging is usually heat sealed poly tubs or poly pouches with twist ties. Vacuum packaging is another option for firm tofu using commercially available machines. Proper refrigeration and sanitation can give shelf life of 3 weeks and longer. Pasteurization can extend it to over 6 weeks. Retorting is not suitable for tofu as it becomes chewy by excessive heat treatment. Aseptic silken tofu is available in Tetra-Brik® format using a patented process. For making Soy Yogurt can we use the same cultures and same method as used for making dairy yogurt? Yes. However, special cultures have been developed for soymilk that can use the sugars and carbohydrates found in soymilk more efficiently. ProSoya has special cultures for soymilk. What is the shelf-life of Soy Yogurt? Cultured products as a rule have longer shelf life than uncultured products. It can be considered at least twice that of soymilk and beverages when processed under sanitary conditioned and properly refrigerated. Can we make drinkable Soy Yogurt? Yes. You can make great tasting drinkable soy-yogurt, also with mixed fruits, provided you use the right culture and proper method. What is the composition of Okara? Okara is nutritionally very rich and contains dietary fiber. Moist okara from soymilk production has about 80% moisture. On a moisture free basis, it has about 24% protein 12% fat and 13% crude fiber. Okara is also rich in many minerals, including iron when whole (not-dehulled) soybeans are used. What can we do with Okara? Okara can be used for making a range of baked foods, cereals, soups, burgers, etc. However, okara degrades very quickly unless processed into foods, refrigerated, or dried. The production of okara in a large soymilk plant is so huge that most plants give it away as fodder to livestock farmers. Drying of okara is quite energy intensive and requires special dryers such a spin-flash dryer. Low cost grain dryers are not suitable. What books are available to learn production of Soymilk, Tofu, etc.? William Shurtleff and Akiko Aoyagi have written over 50 books on the subject. We strongly recommend you acquire at least the following books, especially if you are new to the business: Tofu and Soymilk Production - reprinted 4 times since 1979 The Book of Tofu - currently available edition printed in 1998 You may obtain both the books directly from Soyfoods Center, P.O.Box 234, Lafayette, CA 94549-0234, USA; Tel: 925-283-2991; Fax: 925-283-9091.